Tottenham Hotspur have been left to consider their attacking options for the next few weeks and could yet be forced into the January transfer market to cover the losses of Harry Kane to injury and Son Heung-min to international duty. 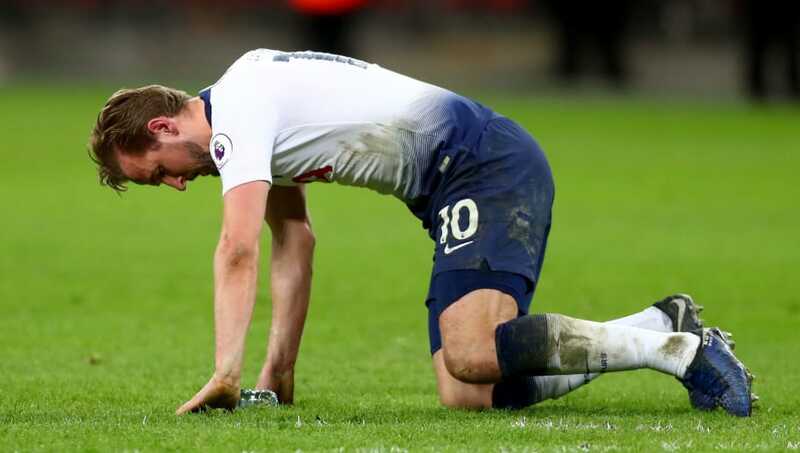 Kane has been ruled out until early March, around six weeks, after Spurs confirmed on Tuesday that he suffered ankle ligament damage in Sunday's loss against Manchester United. Son, meanwhile, has linked up with South Korea for the Asian Cup and could be gone until February. Talisman Kane could miss as many as 11 games between now and his potential return, including crucial Premier League games against Chelsea and Arsenal, the second leg of the Carabao Cup semi-final against Chelsea as well as the final if Spurs make it, and both legs of the Champions League last 16 knockout tie against ​Borussia Dortmund. Son, who skipped South Korea's first two Asian Cup group games, would usually be an option to replace ​Kane as a makeshift centre forward and may reprise that role a few weeks down the line. But with the Korean team among the favourites, chances are he will be away until the end of the tournament, with the final to take place on 1st February. Spurs' other backup striker is veteran Spaniard Fernando Llorente, who had actually been linked with a move away from the club this month. The former Athletic Bilbao and Juventus man scored a hat-trick in the FA Cup thrashing of Tranmere, which was his last start. Llorente, who is wanted by Bilbao, at least has a proven record in the Premier League after netting 15 times for Swansea during the 2016/17 campaign, prompting Spurs to sign him. It is therefore much more likely that Mauricio Pochettino will call on him rather than resort to using forgotten flop Vincent Janssen, a player who has missed most of the season because of injury. Janssen has scored just two Premier League goals in 28 appearances for ​Spurs and spent last season on an unsuccessful loan at Fenerbahce. A foot injury has sidelined him for most of 2018/19 and he made his first appearance of the campaign in an Under-23 match last week. But, at the very least, the Dutchman is at the club and, in theory, available. "People forget they've still got Janssen they can't get rid of and he might have to come off the bench in games," ex-Spurs star Chris Waddle told BBC Sport following the Kane announcement. How Spurs cope with the crisis may very well be determined by their willingness, or potential lack thereof, to dip into the transfer market for a new striker. They have at least shown they are prepared to spend mid-season if the right person becomes available after signing winger Lucas Moura for around £25m from Paris Saint-Germain this time last year. There has been sudden speculation about unsettled ​West Ham star Marko Arnautovic. The Austrian has been the subject of a bid from a Chinese Super League club, rumoured to be Shanghai SIPG, and his agent even publicly urged the Hammers to accept and let him go. Arnautovic's apparently determination to leave, however, may specifically be as a result of the offer from China and Spurs would find it difficult to negotiate a deal with West Ham, who do not want to sell the player abroad let alone see him move to a fellow Premier League side. Concerns over his character may also make the former Stoke man a no-go for Spurs, who have famously previously refused to sign players for the sake of getting numbers in. The Daily Mirror, meanwhile, have suggested that Bournemouth's Callum Wilson could now become a target. The 26-year-old, who has scored nine Premier League goals this season, is already of reported interest to West Ham, as a possible replacement for Arnautovic, and to Chelsea.